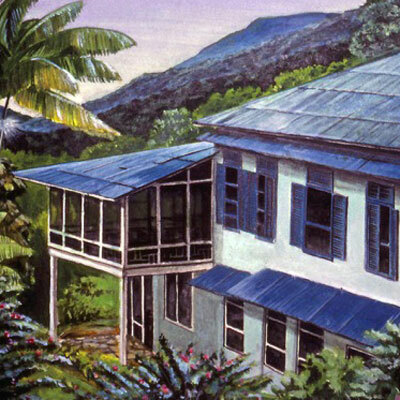 Asa Wright Nature Centre is situated in the Arima Valley of Trinidad’s Northern Range. It lies at an elevation of approximately 1200 ft. in a habitat type known as Evergreen Seasonal Forest. Formerly the Springhill Estate, the grounds have returned to a wild state from once extensive coffee, cocoa, and citrus plantations. Some coffee, cocoa, and citrus plants are still maintained alongside the natural second-growth which has taken over and festooned the abandoned plantation vegetation with vines and a host of epiphytes. The whole effect is one of being deep in a tropical rainforest. 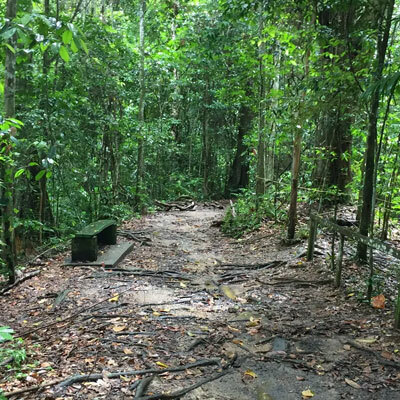 A walk within the forest is the perfect complement to time spent on the verandah of the Asa Wright Nature Centre, where Ruby-topaz Hummingbird, Tufted Coquette, Great and Barred Antshrikes, Squirrel Cuckoo, and both Purple and Green Honeycreepers are among the many species that can be easily seen. There are 25 guest rooms at AWNC, in casitas scattered above and below the main house. linked by gardens and pathways. All have private bath. 2 rooms in the Main House and one nearby are handicap-accessible. Extensive gardens and luxuriant plantings blend with wild forest on a former coffee estate The Discovery Trail and Oilbird Trail and the long winding driveway are the most frequently used trails. More adventurous visitors explore other trails that connect for added miles. Chef Rickie Hamilton has transformed the Asa Wright Nature Centre food service and the staff and guests are equally delighted. Creative dishes feature local foods; fresh produce and fruits abound. 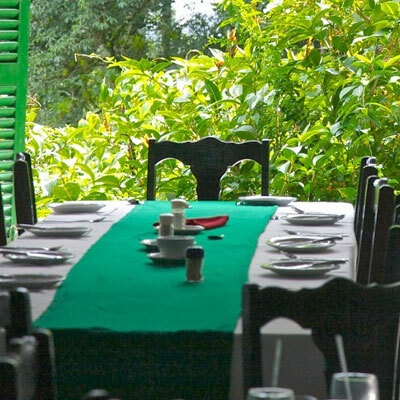 Meals are served buffet style in a beautiful high-ceiling, open-air dining room. Vegetarian diets are easily accommodated and other special diets to some degree, based on what ingredients are available.